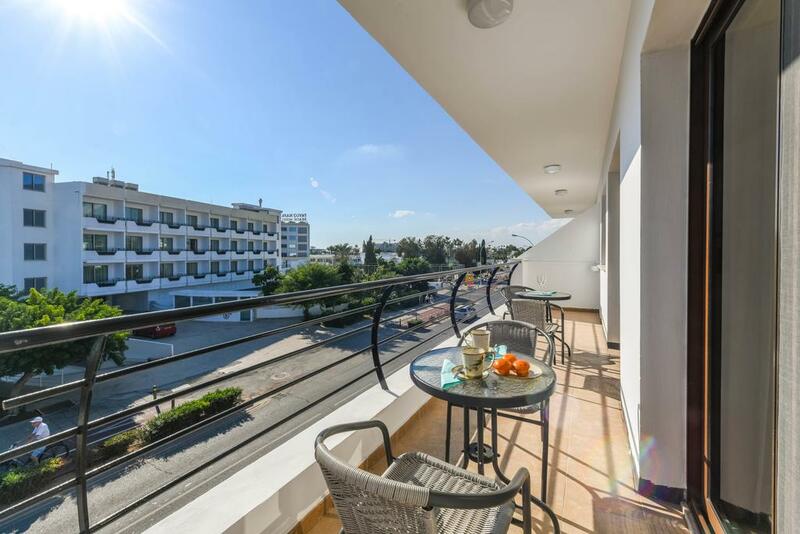 The Nissi Beach apartments are located directly on the bustling Nissi Avenue in the popular Nissi Bay area of Ayia Napa. The Gorgeous cove of Sandy Bay is just across the road and the famous Nissi Beach is less than a 10 minute walk away. There are shops and restaurants in the immediate area and the centre of Ayia Napa with it's bars and clubs are around a 20 minute walk away. The Nissi Beach apartments are simply furnished in a modern style with all the essentials for an exciting beach holiday in Ayia Napa.